Furnishing: pleasant, homely, tiled floor, parquet floor. Please note: Non-smoking house. Owner lives at floor 1. apartment, 4 people, 3 room/s, 2 bedroom/s, 1 bathroom/s, approx. 55 m², 1 floor/s, apartment on ground floor, year of construction 2014. Bedroom 2: 2 x single bed, exit to terrace. Infrastructure (to 02 NOV 2019): bakery service. 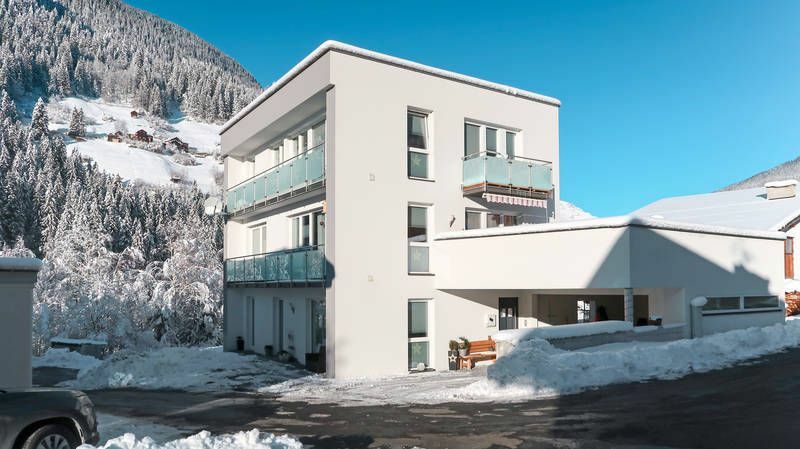 Infrastructure (from 02 NOV 2019): bakery service; Ski/skiboot storage room (ski boot dryer). Situation: in the district Gries, residential area, dead-end street, altitude 1200 m, panoramic view. Plot description: 2 x parking on the estate. terrace, furnishing provided, 2 sun loungers, transportable barbecue. Arrival: Airport Innsbruck in approx. 80 km. Beach/waters: Lake in approx. 200 m.
Cable car: Medrigjochbahn, in approx. 800 m.
Cross-country skiing trail (from 02 NOV 2019): in approx. 15 km. Next village/town: Center See in approx. 800 m. Ischgl in approx. 15 km. Kappl in approx. 8 km. Shopping: Next supermarket in approx. 300 m.
Ski bus stop (from 02 NOV 2019): in approx. 50 m.
Ski run (from 02 NOV 2019): Ischgl in approx. 15 km. Medrigjochbahn in approx. 800 m. Piste in approx. 800 m.
Ski school (from 02 NOV 2019): in approx. 800 m.